Your trade skills, is connected to how much you earn on selling ships. So if you intend to capture and sell ships, you need a high trade skill to earn more gold. 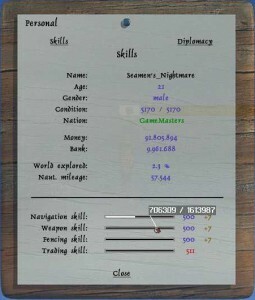 Also you need up to trade skill 4, to take some deliver jobs. 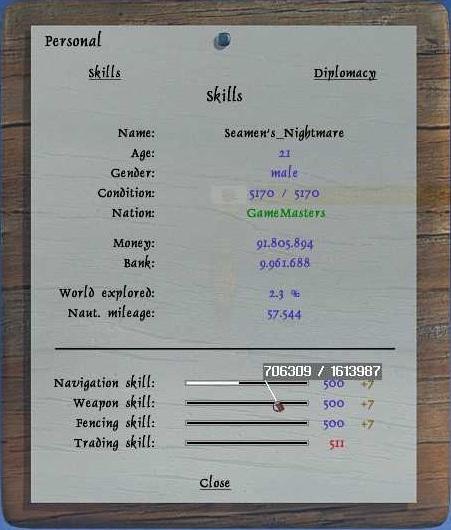 There is a very simple equation, to find how many trade skill points you need for each level. Where level is the level you already have. Example if you have trade level 3 and you want to know how many point to get to level 4, you simply type 3 x 3 x 3 x 300 = 8100 points.